Not a surprise, given the previous order. Responding swiftly to an appeal by Texas Attorney General Ken Paxton, Justice Samuel Alito on Thursday signed an order to put on hold a three-judge panel’s unanimous ruling that nine Texas legislative districts needed to be redrawn because lawmakers intentionally discriminated against minorities in crafting them. Alito directed the minority rights groups suing the state to file a response to the state’s appeal by Sept. 7. 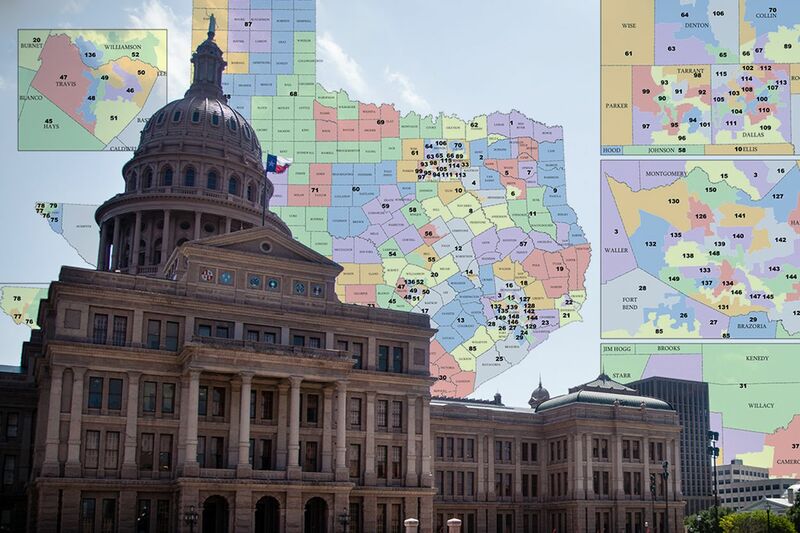 The lower court’s ruling could affect nine House districts across Dallas, Nueces, Bell and Tarrant counties. But adjusting those boundaries could have a ripple effect on neighboring districts. 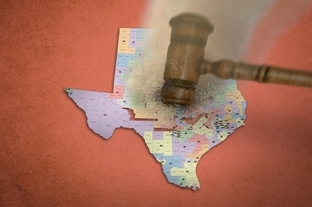 The move comes days after Alito also temporarily put on hold a lower court ruling that invalidated two of Texas’ 36 congressional districts and instructed the minority rights group suing the state to file a response to the state’s appeal of that ruling. Responses from the state’s legal foes on that map are due Tuesday. See here for the background. We are in wait-and-see mode right now. The same variables – which maps do we use, and when will the primaries be – remain in question. If we don’t have a definitive answer to #1 by the end of October, the answer to #2 will not be “March”. Stay tuned. Hopefully, just a temporary one. The U.S. Supreme Court on Monday put on hold a lower court ruling that invalidated two of Texas’ 36 congressional districts. In an order signed by Justice Samuel Alito, the high court indicated it wanted to hear from the minority groups suing the state before the state’s appeal of that ruling moves forward. The high court ordered the state’s legal foes to file a response by Sept. 5 to the state’s efforts to keep congressional district boundaries intact for the 2018 elections. Texas and the minority rights groups suing the state were scheduled to return to court in San Antonio on Sept. 5 to fight over a new map. On Monday, the San Antonio three-judge panel advised that the Supreme Court’s order did not prohibit the state and minority groups from “voluntarily exchanging” proposed fixes. A clerk indicated the court would confirm on Tuesday whether the hearing would move forward. See here, here, and here for some background. Assuming those hearings do go forward, I’ll be very interested to see what the state brings to them. Their contention is that the 2013 maps were just fine, so it might undermine that position to propose an alternative, even if under the gun. The plaintiffs have already put forward a variety of maps, it’s more a matter of what they narrow it all down to for them. As for the SCOTUS order, Rick Hasen says not to read too much into it, so I will continue to worry about other thing instead. Stay tuned. Maybe. It’s up to the courts. State officials insisted Friday they expect to stop the court challenges on appeal, and reverse Texas’ losing streak on the voting-rights lawsuits, legal experts predicted Texas could end up back under federal supervisions of its elections rules if the appeals fail. In short, the court fight is shaping up as a political game of chicken, with significant consequences no matter how it turns out. “In both of the cases where there are new decisions, the courts have ruled that Texas has purposefully maintained ‘intentional discrimination’ in the way it drew its maps,” said Michael Li, an expert on Texas redistricting who is senior counsel with the Brennan Center for Justice at New York University. On Friday, Paxton asked the Supreme Court to overturn the lower-court decision on Texas’ congressional maps. “We are confident that the Supreme Court will allow Texas to continue to use the maps used in the last three election cycles,” he said. Even so, until that appeal is decided, “we don’t expect or anticipate any delay in the Texas election schedule,” said Marc Rylander, Paxton’s communications director. Li and other legal experts are not so sure. First, an appeal to the U.S. Supreme Court to overturn Thursday’s ruling by the three-judge panel will almost certainly not be decided until after the filing period in November and December for House seats is over. And if appellate court rulings in other cases go against the state, the schedule could be upended by court orders to redraw political boundaries for candidates running in those elections. And any boundary changes to benefit blacks and Hispanics could mean gains for Democrats, who those groups traditionally vote for. “There’s a good chance that, given the way these cases stand with the courts, that the primary election schedule could be affected,” Li said. The state had previously announced its intention to appeal the Congressional map; you can see a copy of their brief here. I presume an appeal of the State House ruling will ensue. As far as next year’s primaries go, basically one of two things will happen. Either SCOTUS will step in and say that the current maps will remain in place until the appeals process has played out, or it won’t. In that case, new maps need to be drawn. The court will have hearings right after Labor Day to determine a schedule for hearings and whatnot in the event there is no halt from SCOTUS and Greg Abbott declines to call a special session and have the Lege draw compliant maps. Whether it’s the court (most likely) or the Lege, it needs to be done by roughly the end of October so election officials can provide maps and files to county party chairs and interested candidates in time for the normal November-December filing period. There are people who are going to make run/don’t run decisions based on what those maps look like. There’s a decent chance we wind up with later primaries next year – perhaps May, as we had in 2012 – but it’s not certain yet. We should be in a better position to know by the end of the first week of September. 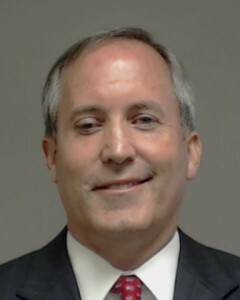 The hearing Thursday was the second in the case for state District Judge Robert Johnson of the 177th Criminal Court, a freshman jurist assigned to oversee Paxton’s case after it was moved from the attorney general’s home of Collin County. Paxton’s trial was originally scheduled for May, then moved to September. Both those dates were scrapped amid upheaval over where the trial should be held and whether the visiting judge would remain at the bench. See here and here for the background. The start date for the trial also happens to be the filing deadline for 2018, so Republicans could be a bit out of luck if Paxton has no primary opponent. The issue of who is paying for the special prosecutors remains unresolved, though there may be a further hearing from Judge Johnson on the matter. For now at least, we have a trial date. The DMN and the Trib have more. Back to the previous map, pending appeal. Hours after candidates began filing paperwork to run for city office, a federal judge Wednesday denied a request by Pasadena officials to delay her order that the city election be run under an 2011 election scheme to protect the rights of Latino voters. 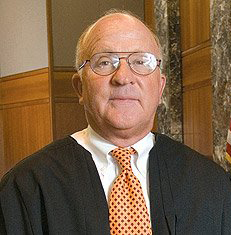 Chief U.S. District Judge Lee H. Rosenthal in Houston said Pasadena should conduct its upcoming May elections based on eight single-member districts, throwing out the six single-member and two at-large districts that the judge ruled had diluted the clout of Hispanics. The focus now shifts to the Fifth U.S. Circuit Court of Appeals, where Pasadena officials are challenging the judge’s ruling in a landmark voting rights case that has drawn nationwide attention. Pasadena officials filed a request Tuesday to stay Rosenthal’s judgment, which was issued Monday during the Martin Luther King Jr. Day holiday. City lawyers also appealed the ruling, challenging the judge’s conclusion that the new voting scheme was put in place with the aim of intentionally stopping Hispanics from gaining a majority of candidates of their choice on council. See here, here, and here for the background. I have no idea if the Fifth Circuit will overrule Judge Rosenthal and order the 2013 map to be put back in place, but as candidate filing has begun, they would need to be quick about it if they do. I’ll keep an eye on it. An attorney representing the city of Pasadena said Tuesday the city will appeal a ruling that found Pasadena deliberately violated the voting rights of its Hispanic population, a move that could have immediate consequences for the city’s upcoming May elections. The attorney, C. Robert Heath, said the city disagreed with Chief U.S. District Judge Lee H. Rosenthal’s ruling earlier this month that a redistricting scheme adopted in 2014 violated the U.S. Voting Rights Act by diluting the Hispanic vote. “I think we’re right on the law and ultimately we’ll prevail,” Heath said. Heath said the city will seek court approval to temporarily halt execution of Rosenthal’s order, meaning that upcoming elections could be conducted using the redistricting scheme Rosenthal found to be discriminatory. The 2015 elections were also conducted using that scheme. “I don’t think they were trying to prevent Hispanic success,” Heath said. City Councilman Ornaldo Ybarra, who supported the goals of the lawsuit that led to Rosenthal’s ruling, called the appeal a waste of taxpayers’ money. “The legal bill has already surpassed $2 million, but I guess since it’s not the mayor’s money, he doesn’t mind spending it,” Ybarra said, adding that “this council is told nothing” by the administration about the legal process. See here and here for the background. Candidate filing begins today, so one way or the other we’re going to need a quick ruling on any motions for an injunction. I’ll be keeping an eye on it. The NYT, Rick Hasen, and the Texas Standard have more. Timing in the case, now, is critical. Rosenthal must first weigh in on whether to stand firm in her decision to keep the single-member system in place for the May elections – or whether to grant a stay on her own ruling. The city’s appeal of the full ruling, meanwhile, moves on to the Fifth U.S. Circuit Court of Appeals. “It wouldn’t surprise me if Judge Rosenthal made a ruling on the stay right away. … It will be a yes or no, probably,” said Elaine Wiant, president of the League of Women Voters of Texas. She said if Rosenthal denies Pasadena a stay, it is unlikely the city’s lawyers would be able to derail the May election. Chad Dunn, a lawyer who has represented voters and governmental entities in voting rights cases, agreed. 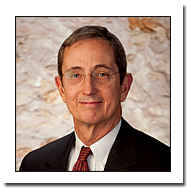 The circuit court can affirm the district judge’s decision, reverse it or remand it back to Rosenthal for additional fact-finding, said Austin attorney Roger B. Borgelt, who specializes in election and campaign law. We ought to know pretty quickly what the election situation will be for Pasadena. It’s official – back to the original map. With candidate registration set to begin Tuesday, a federal judge Monday prohibited the city of Pasadena from using an unconstitutional redistricting scheme in the upcoming May elections, stating that the scheme violated the voting rights of Latino and Hispanic residents. Rosenthal also ordered the city to face preclearance from the U.S. Department of Justice for 6.5 years before changing the election system again. Rosenthals’ order Monday – on a federal holiday recognizing the birthday of Martin Luther King Jr., whose civil rights crusade led to the Voting Rights Act of 1965 – came two days before candidate registration opens for Pasadena’s municipal elections. All city council seats and the mayor’s office are up for contention. See here for the background. There is no word as yet whether the city will appeal or not. The filing period opens tomorrow and runs through February 17, so if there is going to be an appeal and an injunction against using the previous map, the city will need to get its act together quickly. Not that I want them to, mind you, just stating a fact. We’ll see what they do. UPDATE: Here’s a longer version of the story. If you take a look at my 2013 Election page, you will see that I have added information about HISD and HCC races. I don’t have information about all candidates, mostly because I don’t think I’ve heard of everyone yet, and because I’m certain that some of the fields are not settled yet. The rumor mill is saying that long-term scandal-plagued HISD Trustee Lawrence Marshall is not running for re-election, but as yet there has been no announcement to that effect, so take it with an appropriate level of skepticism. I am aware of at least one well-known candidate that is preparing to jump into that race, but again as yet no public announcement has been made. The filing deadline is one week from today, so we’ll know for sure who’s in and who’s not at that time. In the meantime, if I’ve missed anyone, or if I’ve missed someone’s webpage, please let me know. Please note again with endorsements that I only include information that comes from the source. Press releases from the endorsing organization, webpage or Facebook links from the endorsing organization, ideally listing all of their endorsed candidates, are the sort of thing I’m looking for to include it on that page. I will not link to a release or post from the candidate. If you aware of an announcement or link from an endorsing organization that I have not included, please send it to me, but please do not forward an email from a candidate touting an endorsement they have received. Some organizations have made endorsements but have not sent out press releases on them yet. I’ve had communication with three such groups so far, and am expecting something from them in the next couple of weeks. Patience, please. HCC finance reports for July are finally available on their website, but only for incumbent Trustees. Finance reports for non-incumbent candidates, in both HCC and HISD, are not readily available to me. As you know, this is something I believe they need to fix. Finally, as you can see, interviews are proceeding along. I’ll be skipping most unopposed incumbents this time around due to constraints on my time, but should be able to get everything else in by around the start of early voting. – US Senate candidate Daniel Boone withdrew from that race and filed for CD21 instead. Candace Duval has also filed for that race. Grady Yarbrough filed for the Senate, so there are still four Democratic candidates there. – A San Antonio attorney named Michelle Petty filed to run for State Supreme Court, position 6, against Justice Nathan Hecht. She is the only Democrat running for the Supreme Court. – There is also only one Democrat running for the Court of Criminal Appeals – Keith Hampton, who was on the ballot in 2010. Hampton is running against the notorious Sharon Keller, who is challenging his place on the ballot. Keller’s challenge, filed with the state Democratic Party on Thursday, claims Keith Hampton did not submit enough valid signatures to qualify for a place on the ballot. Candidates for statewide judicial office must collect signatures from 50 registered voters in each of the state’s 14 appellate court districts. Keller’s challenge, filed by lawyer Edward Shack, claims irregularities on several petition pages should invalidate numerous signatures, leaving Hampton short of voters in three districts. Hampton, a 22-year Austin lawyer, dismissed Keller’s challenge in two appellate districts as quibbling and was working Thursday to correct petition forms in the third district before the evening candidate filing deadline. Keller claimed several petition pages in two districts were invalid because signatures were collected while Hampton was running for Place 8. When Hampton changed his mind last fall and targeted Keller, it appears “Place 8” was scratched out and replaced with Keller’s position on the court, the challenge said. Questions about dates associated with petitions from a third district were being addressed Thursday by collecting new signatures, “so everything there should be moot,” Hampton said. As this is for a primary election, TDP Chair Boyd Ritchie gets to rule on the validity of the challenge, which can then be appealed to state district court. We’ll see what happens. – Nick Lampson picked up a primary opponent for CD14, a woman from Galveston named Linda Dailey. – Two people filed for the Democratic nomination in CD10 after Dan Grant dropped out, William E. Miller, Jr, of Austin, and Tawana Cadien of Cypress in Harris County. – Jim Dougherty, who was the Democratic nominee for District Attorney in 2000 and for HD134 in 2004, filed to run against Rep. Ted Poe in CD02. Here’s a press release he sent out on Saturday. – I don’t see a Democratic challenger listed for Republican Judge Tad Halbach, who presides over the 333rd Criminal District Court. – Republicans Gilbert Pena and David Pineda filed to replace State Rep. Ken Legler on the ballot in HD144. Here’s the Chron story about the re-filing deadline, which didn’t have any of that in it. Looking elsewhere, here’s the Statesman. The once-a-decade redistricting process has created an unusually high number of contested races for the U.S. House. For example, former Bastrop County Judge Ronnie McDonald, a Democrat, said Friday that he will challenge Republican U.S. Rep. Blake Farenthold for a GOP-leaning district that cuts through Bastrop but is based in Corpus Christi, which is Farenthold’s hometown. At least three other Democrats, all from the southern end of the district, also hope to take on Farenthold. Travis County voters will see highly contested primaries for two other congressional seats. Democratic U.S. Rep. Lloyd Doggett of Austin will face three candidates from San Antonio in District 35, which extends from eastern Travis County to Bexar County. Doggett’s toughest fight is likely to come from Sylvia Romo, the Bexar County tax assessor-collector. More residents of that district live on the San Antonio end than the Austin end. Three Republicans filed for the seat, but it is heavily Democratic. Meanwhile, 11 Republicans filed to run in Congressional District 25, which includes much of western Travis County and runs up to Fort Worth. Those filing include former Texas Secretary of State Roger Williams and former Railroad Commissioner Michael Williams. Republican U.S. Reps. Michael McCaul of Austin, Lamar Smith of San Antonio and John Carter of Round Rock each drew GOP primary opposition. I personally think McDonald would have had a better shot at HD17, but I wish him well in his efforts. A fellow named Colin Guerra filed in HD17. In 2011, it appeared Doggett, D-Austin, would face Castro, D-San Antonio, in the 35th, but after Rep. Charlie Gonzalez announced his retirement, Castro switched to the 20th, where he faced local attorney Ezra Johnson. That left Tax Assessor-Collector Sylvia Romo, real estate broker Patrick Shearer, and former Rep. Ciro Rodriguez to duke it out for the 35th in the Democratic primary. 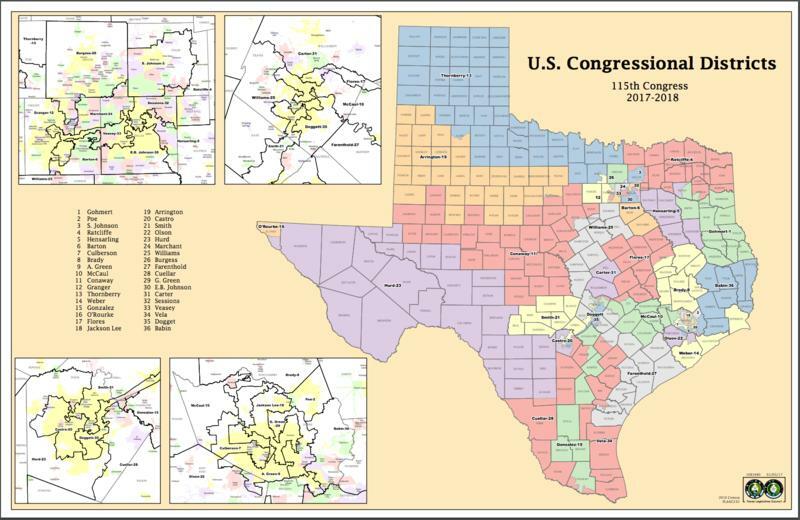 The latest maps, however, put Rodriguez back into the 23rd Congressional District, and chopped up Doggett’s old district. Rodriguez filed for the 23rd this week, and will face state Rep. Pete Gallego and attorney John Bustamante for the chance to challenge Republican incumbent Francisco “Quico” Canseco. Shearer announced Friday he would withdraw from the 35th and endorse Doggett. Maria Luisa Alvarado, a veteran who ran as the Democratic nominee for lieutenant governor in 2006, is now the third Democrat on the ballot. On the Republican ticket, John Yoggerst also filed for the 35th this week. He’ll square off against Susan Narvaiz and Rob Roark, both of San Marcos. In South Texas, Brownsville lawyer Filemón Vela Jr. is seeking the Democratic nomination in the newly drawn 34th Congressional District, changing the dynamics in that crowded race. More than a half dozen Democrats are running in that primary, including former Edinburg City Manager Ramiro Garza, Denise Saenz Blanchard of Brownsville and Ramiro Garza Jr. of South Padre Island. Harlingen lawyer Salomon Torres, a former staffer to Rep. Ruben Hinojosa, D-Mercedes, is running for the new seat, as is Iraq war veteran Elmo Aycock , lawyer Anthony Troiani and District Attorney Armando Villalobos, all of Brownsville. In the 27th Congressional District, Ronnie McDonald, a former Bastrop County judge, announced he will run for the Democratic nomination for the seat currently held by Republican freshman Rep. Blake Farenthold of Corpus Christi. Also seeking the Democratic nomination in that race is Rose Meza Harrison, the Nueces County Democratic Party chairwoman and Murphy Alade Junaid of Corpus Christi. Farenthold has GOP opposition in Don Al Middlebrook of Louise and Trey Roberts of Rockport. Clearly, I have a lot of work to do on my Texas primary page. In the 33rd District, 11 Democrats have filed for the primary. Three Republicans are also running. The race is a rare matchup between Dallas and Fort Worth politicos. It also will pit blacks and Hispanics against each other in a battle that could test minority voting strength in the district. According to the Texas Legislative Council, the district’s Hispanic voting age population is 39 percent. The black voting population is 25 percent. But black voters cast ballots at a higher percentage than Hispanic voters, so the contest is expected to be close, and all of the candidates hope to cross ethnic boundaries. In Dallas County, former state Rep. Domingo Garcia kicked off his campaign Thursday. His supporters are already registering and mobilizing Hispanic voters on both sides of the county line. Former Dallas City Council member Steve Salazar is also a candidate. And David Alameel, a deep-pocketed dentist who controls a political action committee, entered the race just before the filing deadline. “It will be interesting to see where all the money lands,” Minchillo said. In Tarrant County, state Rep. Marc Veasey is running, along with Fort Worth City Council member Kathleen Hicks and others. Veasey has the most money and is counting on the support of former U.S. Rep. Martin Frost, D-Dallas. State House races in Dallas County are less competitive than four years ago. No Republican or Democrat incumbent received a major challenge. The most competitive races were in the districts represented by retiring Republicans Will Hartnett and Jim Jackson. In Hartnett’s District 114, business consultant David Boone, former state Rep. Bill Keffer and Dallas lawyer Jason Villalba are in the GOP primary. In District 115, the crowded Republican field includes optometrist Steve Nguyen, lawyer Andy Olivo, businessman Bennett Ratliff, attorney Matt Rinaldi and Lib Grimmett. The hottest Democratic Party statehouse race is the primary to replace Caraway, who is running for Congress. That field includes former Balch Springs Mayor Cedric Davis, mental health professional Toni Rose and prosecutor Larry Taylor. A pair of former state representatives are trying to make comebacks. Carol Kent is running in the District 114 Democratic primary. Robert Miklos is unchallenged in the District 107 Democratic primary. Alameel had previously filed for CD06, against Smokey Joe Barton. He loaned himself some money for that race, and I daresay he’ll spend a few bucks on this one. District 33, the state’s newest district. Democrats: David Alameel, Domingo Garcia, Kathleen Hicks, J.R. Molina, Jason Roberts, Steve Salazar, Kyev Tatum, Manuel Valdez and Marc Veasey. Republicans: Chuck Bradley, Charles King and Bill Lawrence. District 25, a revamped congressional district. Republicans: Ernie Beltz Jr., Bill Burch, Dianne Costa, James Dillon, Dave Garrison, Justin Hewlett, Brian Matthews, Wes Riddle, Chad Wilbanks, Michael Williams and Roger Williams. District 6. Republicans: Rep. Joe Barton (i), Joe Chow, Itamar Gelbman and Frank Kuchar. Democrats: Brianna Hinojosa-Flores, Donald Jaquess and Kenneth Sanders. District 12. Republican: Kay Granger (i). Democrat: Dave Robinson. District 24. Republicans: Kenny Marchant (i), Grant Stinchfield. Democrat: Patrick McGehearty. District 26. Republican: Michael Burgess (i). Democrat: David Sanchez. State Senate District 9. Republican: Kelly Hancock and Todd Smith. No Democrat filed. State Senate District 10. Wendy Davis (i). Republicans: Derek Cooper and Mark Shelton. State Senate District 12. Republican: Jane Nelson (i). No Democrat filed. State House District 90. Democrats: Lon Burnam (i) and Carlos Vasquez. State House District 91. Republicans: Stephanie Klick, Kenneth M. “Ken” Sapp, Charles Scoma and Lady Theresa Thombs. State House District 92. Republicans: Jonathan Stickland and Roger Fisher. State House District 93. Republicans: Matt Krause, Patricia “Pat” Carlson and Barbara Nash (i). State House District 94. Republicans: Diane Patrick (i) and Trina Lanza. State House District 95. Republican: Monte Mitchell. Democrats: Duliani “Jamal” Masimini, Nicole Collier and Jesse Gaines. State House District 96. Republicans: Mike Leyman and Bill Zedler (i). State House District 97. Republicans: Craig Goldman, Susan Todd and Chris Hatch. Democrat: Gary Grassia. State House District 98. Republicans: Giovanni Capriglione and Vicki Truitt (i). Democrat: Shane Hardin. State House District 99: Republican: Charlie Geren (i). Democrat: Michael McClure. State House District 101. Democrats: Vickie Barnett, Paula Pierson and Chris Turner. The TDP page lists a Pete Martinez for SD09, and a Gilbert Zamora for HD93. Democratic candidate Art Fierro announced he will not run for representative of District 75, the post now held by Inocente “Chente” Quintanilla. Quintanilla is running for El Paso County Commissioners Court Precinct 3, the seat representing most of the Lower Valley recently vacated by Willie Gandara Jr., who resigned after being indicted on federal drug-trafficking charges. In a news release, Fierro said he no longer lives within the district’s new boundaries, which were announced last week, and no waivers or extensions of residency requirements have been provided. Fierro, whose wife is County Commissioner Anna Perez, is chairman of the El Paso Community College Board of Trustees. Fierro is the second candidate to drop out of the race for House District 75. Gandara was running for the seat but quit after his arrest by U.S. Drug Enforcement Administration agents. On Friday, businessman Antonio “Tony” San Roman jumped into the race for House District 75, party officials said. The race also includes Hector Enriquez and Mary Gonzalez. The Lion Star Blog has been my go-to source for El Paso political information. I think that’s all I’ve got. If there’s anything you think I’ve missed, let me know. Robert Miller has been summarizing the legislative races in the big counties, and his information differs a bit from what I’ve seen elsewhere, but I expect these discrepancies will sort themselves out in the next day or two. 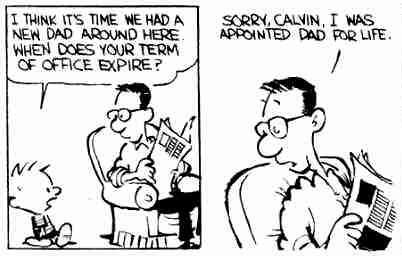 It’s always a little confusing right after the deadline, especially on a weekend. UPDATE: I have been informed that there was a typo in that Harris County spreadsheet and that Tracy Good has filed for the 33rd Civil District Court and not the 339th Criminal District Court. So there are no unchallenged judicial seats after all. This news broke late Friday. Leading Democratic U.S. senatorial candidate Ricardo Sanchez announced Friday that he’s ending his campaign to replace retiring Sen. Kay Bailey Hutchison. “After extensive consultation with my family … I have decided to put family first and I will therefore end my campaign for the 2012 U.S. Senate seat as of today,” he said. Well, that answers my question. Sanchez’s campaign never really got off the ground, and a month ago his house burned down, which is a tough thing for anyone to overcome. As we know, a lot of people were unhappy with his candidacy in the first place. This isn’t really a surprise. Southern Methodist University political science Professor Cal Jillson said the situation Texas Democrats find themselves in is indicative of the party’s decade of electoral futility in statewide races. There’s always John Sharp, isn’t there? Surely he’s tanned, rested, and ready by now. I have no idea if anyone else will run. I don’t know how much it matters at this point. As to what Professor Jillson says, this is why I have been talking about making way for new blood. I disagree with him about the need for statewide name recognition, however, because almost no one currently serving at the state level had it beforehand. Rick Perry, Susan Combs, Todd Staples, and Jerry Patterson all came from the Lege. David Dewhurst was just some rich guy with no prior electoral experience before he ran for Land Commissioner. Most of the Railroad Commissioners we have had in the past decade or more were appointed to the position by the Governor before they won an election for the office. Only Greg Abbott, who was a Supreme Court justice before he was AG, had statewide experience. The fact is that when the state is ready to elect Democrats, it won’t matter much where those Democrats come from. What might speed that up is getting some Democrats who might like to run statewide into Congress and the State Senate, where their fundraising bases can be maximized. No matter how you slice it, though, the path to a statewide office involves a really big last step. Obviously, that is subject to change. The other race with a third candidate now in it is HCDE Board of Trustees, Precinct 1, Position 6, the post now held by Roy Morales. This is not surprising when you consider that the Democratic primary will decide the outcome. The third candidate is Dr. Reagan Flowers, who according to her press release is “Founder and CEO of CSTEM (Communications-Science-Technology-Engineering-Mathematics) a non-profit focused on improving education for underserved and underrepresented children.” You can read some of her writings here. I look forward to interviewing all the candidates in this race so I can figure out which one to vote for. Otherwise in Harris County, things are pretty well covered. It looks like all of the 1st and 14th District Court of Appeals seats have challengers. The main down note is that other than Keith Hampton’s challenge to Sharon Keller, there are no Democratic candidates for Supreme Court or CCA. I suppose we could get a late filing or two tomorrow, but that’s not terribly encouraging. Finally, here’s a list of Democratic filings in Fort Bend. I don’t know offhand if they have any races unfilled or not – I’m not sure when their District Attorney position is up, for instance. Again, the legislative seats are subject to change at the whim of the court. As, of course, is the whole unified primary itself, as it requires fairly swift SCOTUS action to not be scuttled by the calendar. For now, we’ll all just pretend that won’t happen. UPDATE The District Attorney office in Fort Bend is not up until 2014. All offices except Tax Assessor have Democratic candidates filed for them so far.